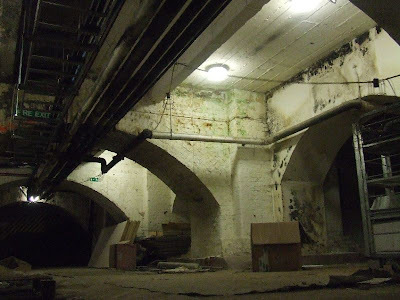 These large vaulted tunnels are located directly beneath London Waterloo main station. 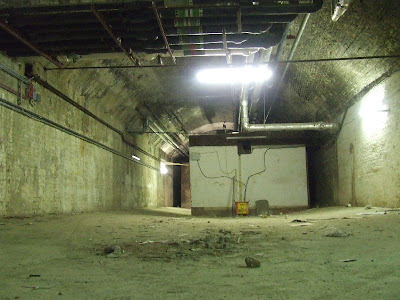 Many of the tunnels carry pipes or cables, but most have been partitioned and double up as storage and work areas for staff. 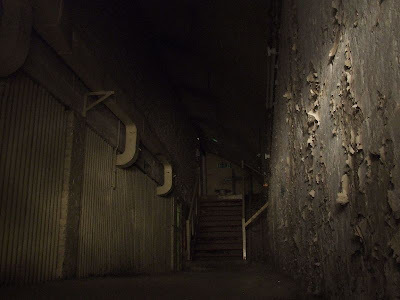 Some of the tunnels are still used by various companies associated with the railway or for storage for the station's shops, whereas the majority are empty. 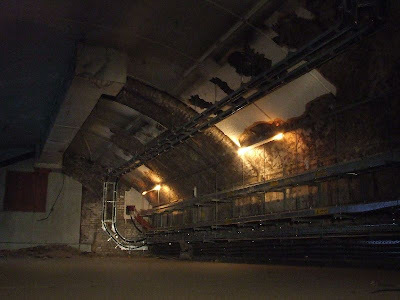 There is no public access to these tunnels, this was a specially arranged trip with Subterranea Brittanica. 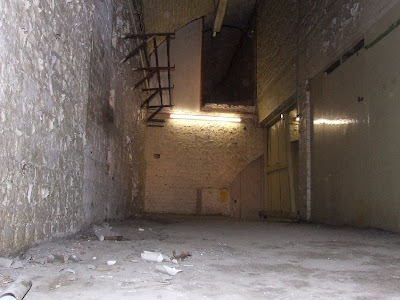 Area containing old toilets and even a bathroom! 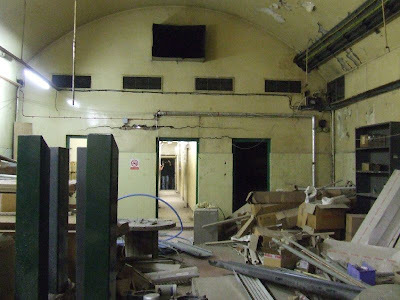 Could there be a connection between the possible mortuary and the funeral trains to Brookwod operated by London and South Western railway until 1941? 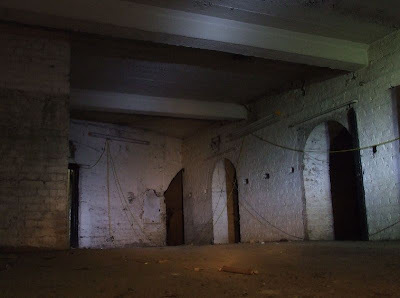 Further to my earlier post about the funeral train to Brookwood, I've found this link to Wikipedia that mentions railway arches being used to store bodies for the London Necropolis Railway and the history of the company and its station very near to Waterloo rail station. 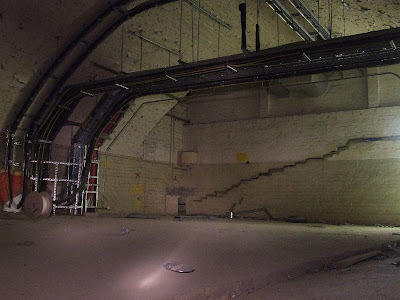 Working, as I do, in a large area under Waterloo (we have 3 tunnels), I know them well. 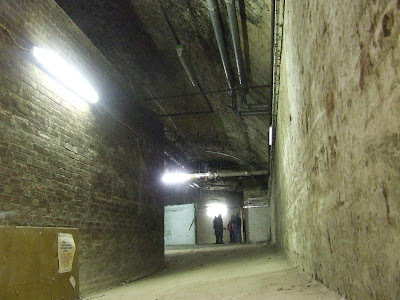 The tunnel which was claimed to have been a morgue was an emergency mortuary constructed just before World War II for the use of the local authority. 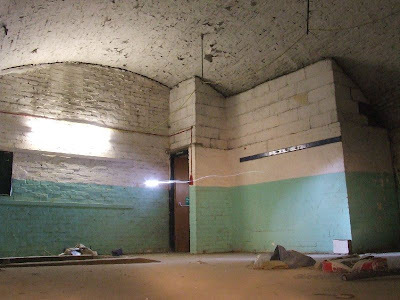 The tunnels containing toilets and bathrooms was part of the Air Raid shelter where entrance was gained through Tunnels 258, 259 and 260. 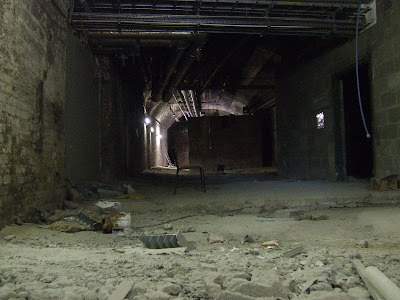 The ducting for the ventilation to the shelter, plant rooms and internal telephone bunkers remain reasonably intact (not bad considering the conditions over the last 70-80 years). or his family . Stange but that's what she told me ,I've been wondering eversince who that was .